I appreciated my tech calling me ahead to let me know he was going to spray. It is nice that they will re-spray if you are not satisfied. Julie—Fort Myers. Very nice and helpful. Answered all our questions and was prompt. Antonio is a good man doing a great job! So glad I found the name and contact person to this company very happy with their services and their customer relationships. Well, I think originally you folks lost my order. I ordered in December and just received the collar two weeks ago in March. Right after I posted the long wait I heard from one of your reps and collar was placed in the mail the next day. Must have lost my order! However, the collar is the most comfortable collar we ever purchased. I ordered purple for, Brooklyn, our 95 lb grey weimaraner and it looks fabulous with her name and phone # in green! The edges are soft and the inside of collar is padded with very soft material. Clip works easily too. Very, very happy and we will definitely purchase more of these. The price is excellent too! John Loper was professional, polite, very knowledgeable & on time! He is a winner in my book! Thank you! Hasn't been one month yet but already seeing evidence of dying weeds!!! Happy with pest control service. Very happy with our lawn and tree service. Miguel is doing a great job and we're already seeing results!! very happy with you services. Initial impression is positive. Only time will tell if Pestbear lives up to my expectations. I can Only say thanks for your service being I'm never at my home when ever you guys go there but the the fact that the ant prolem seems to be under control is good enough for me. Only issue I have is knowing whether or not any request I ask for is being completed. Miguel provided lawn service and explained what he was applying to the grass. He was knowledgeable and appeared interested in his job. First time customer. Service associate arrived on time and was very efficient. He answered all my questions in detail.Hopefully the applications that are being used on my lawn will solve the dollar weed problem. Associate advised me to shorten the sprinkler times and with a few more service calls the dollar weed issue will be gone. My first visit was very informative and all my questions were answered. Great people you have working for you. My grass is doing ok. Getting better. Very efficient friendly technicians. Very resonably priced. Extremely happy with the service. I sure like the fact that the invoices have a written report by the operator that worked on my yard. The final proof of the pudding is as a new customer ifmy yard is greener and more weed free compared to my neighbors. 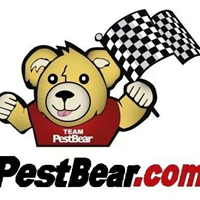 Have had pest bear for a couple of years after going through other pest companies. Our yard looks so good and compliments from neighbors. The technician is very polite and always ask if we have any concerns and always tells us what he applied and if anything for us to follow up on. everything was done just fine. Always courteous and service is very effective. Arrrived a little bit late on the specified time frame given. Otherwise, service is all good. Your service is good but it is difficult for me to evaluate the cost of all of the services provided. Please email me a detailed list of all services provided over the past year with the cost of each. Our yard seems to slowly be clearing from weeds. So far so good. Great customer service and very knowledgeable staff. GREAT SERVICE MY GRASS NEVER LO0K SO GREAT. Comes every month, does the job, leaves, sends bill. Pretty good plan to me. Changes coverage when I asked. Very happy with service. No pressure. Thanks!! Very prompt and call backs always have no problem. Haven't received our inspection detail for October. We would appreciate if the person doing the yard would come on the same week every month. We are seeing that they are coming on the second week or the third week then some times in the fourth week. Please make it more consistent.